The Forest Practices Board (FPB) has a mandate to hold both government and industry publicly accountable for forestry practices. The FPB is funded by the province of BC. The FPB has no ability to issue fines to forestry companies. In July 2016, an audit by the FPB found a Creston Woodlot licensee in contravention of BC's reforestation rules. The FPB stated that 'reforestation is a matter that the government takes very seriously'. The penalty for this 'serious' non compliance? Well, the licensee was told to come up with a plan on how they are going to replant and do a proper inventory of trees planted. The Ministry of Forests, Land and Natural Resource Operations is also responsible for ensuring license holders reforest clear-cuts accordingly, the article continues, but the ministry's regional staff never noticed the licensee's mismanagement, even after mandatory progress reports didn't show up in their mailbox for a number of years (the licensee had seven years to reforest these clear cuts). The Ministry did not address this issue in their response. Audits by the FPB are discussed in this article "Failed Reforestation..."
(The Forest Practices Board) can only audit a handful of logging licenses a year inside a pool of thousands. "The reality is that what the board does is a drop in the bucket over a season," said Chris Mosher, the director of audits for the FPB. "We can only get to so many areas to assess." According to their own website a sampling of numbers show that in 1997, only 4 licenses were audited; in 2007, 7 were audited; in 2010, 9 were audited; in 2015 only 10 were audited from among a 'pool of thousands'. In addition to the audits, the Forest Practices Board reports on all complaints that they investigate. The complaint reports are usually 3 to 18 pages, available to the public, clearly written, and follow an easy format. They name the logging company, but not the person(s) making the complaint. In researching sixteen complaints in this area (Creston, Kaslo, Laird Creek, Sitkum Creek, Slocan, Blewett, Ainsworth and others), only one complaint investigated by the FPB found the logging company partially responsible. The sixteen complaints covered diverse issues from non transparency to damaging water systems, landslides etc. It now appears to water users that, despite its reassuring language, the Forest Practices Board either cannot or will not judge actual results. 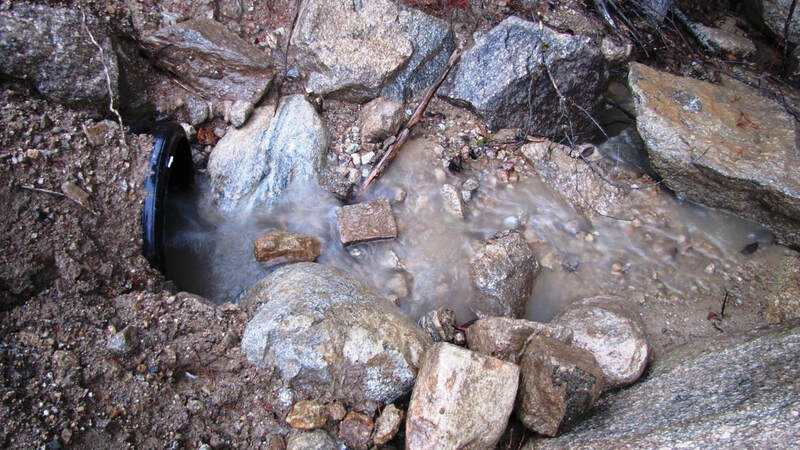 In this case a significant landslide occurred in unstable terrain after repeated and detailed concerns about the risks were expressed by water users prior to the proposed operation. In concluding that the BC Timber Supply company's “operational and technical practices were sound” the board fails to identify what actions or omissions led to the landslide. The Forest Practices Board initiates special investigations into logging and its effects (see HERE). A recent critical special investigation "Are they Meeting Expectations?" (2015) concerned Forest Stewardship Plans. values are being conserved and protected." FSPs, the only plan available by legislation to the public for review and comment is considered a 'landscape level' plan - it contains no concrete information that would be useful in ascertaining any level of impacts to the environment. It contains no cut block information and no road information. It is essentially a template that says 'we are going to log somewhere in this large area sometime over the next 5 years and we will generally 'undertake to comply' with these vague, unmeasurable objectives, replete with loopholes. ...areas applicable to FSPs are often very large; planned cutblocks and roads are usually not shown; FSP documents can lack clarity due to complex language and poor correlation to operations on the ground; there are very infrequent opportunities for the public to review FSPs; and results, strategies and measures are highly variable in their measurability or verifiability and are often not consistent with government’s objectives. - A high proportion of the results, strategies and measures in FSPs are not measurable or verifiable and therefore not enforceable. - FSPs alone continue to be inadequate as tools for public review and comment. They are difficult to understand, do not provide the type of information the public wishes to see, and often overlap with other FSPs that may have different results, strategies and measures. - The time between opportunities for full public review and comment on FSPs can be excessive. Most licensees choose to extend their FSPs, meaning that these opportunities may not occur for intervals of ten or more years. - FSPs are not improving over time. Newer FSPs do not have better results, strategies and measures than older FSPs. The government has stipulated objectives in the Forest Range and Practices Act, like the one below for Community Watersheds. There are other similar objectives for soil; wildlife; water, fish, wildlife and biodiversity within riparian areas; fish habitat in fisheries sensitive watersheds; landscape level wildlife and biodiversity; stand level wildlife and biodiversity; visual quality and cultural heritage resources. Both licencees, ATCO and Kalesnikoff, and likely almost all other timber companies only 'undertake to comply' with these objectives. Why? This is a matter that has been hotly debated by many foresters (both industry and government) and even stimulated foresters to seek direction from government lawyers. • Many of the stated targets set by the government objectives cannot be met, even before forest development begins. • In other words, sometimes the objectives would only exist ideally (i.e. so they don’t really exist). • Naturally, if the objective does not presently exist, then the licensee can only undertake (try) to comply, and not actually comply with the objective. Why can’t the stated government objectives be met? Are the objectives too complicated or too difficult? Have the objectives already been compromised by other resource extraction? By replanting? Why is the government supposedly setting unattainable objectives? Why are the licencees trying to comply with what they say is a nonexistent, presently-not-existing objective? If they can’t comply, why are they trying to? It is all very strange. But apparently, it is also acceptable within the forest industry and the Ministry of Forests, Lands and Natural Resources.